Thanks to our friends at Bees Up Top, we are the proud home to our very own hive of bees. Where would we Bee without bees? As pollinators, bees play a key part in every aspect of our ecosystem. Not only can we thank the bees for bringing honey to our morning breakfast spread, but for the important role they play in agricultural production. In fact, bees are responsible for pollinating up to 30% of the world’s food crops. 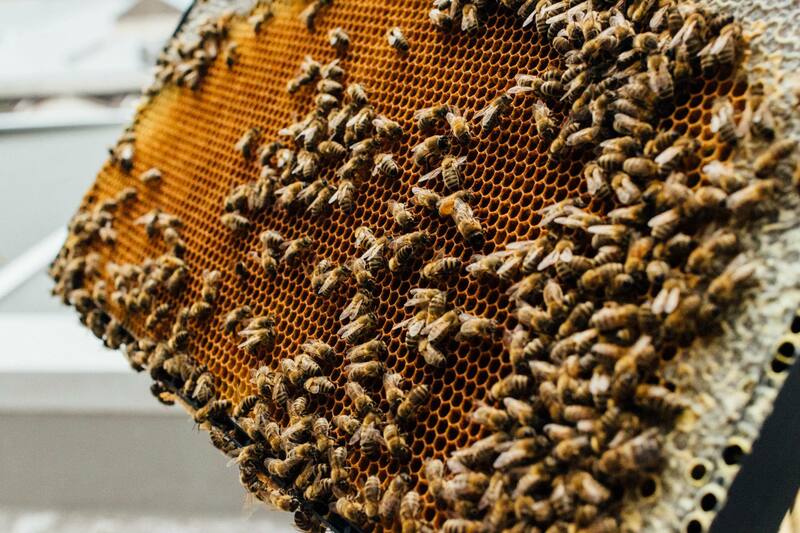 With the help of Bees Up Top, our rooftop hive is home to thousands of ‘Rescue’ Bees who have been given a new buzz of life at Crowne Plaza Auckland. A rescue by professional bee-keepers like Bees Up Top can often save the lives of thousands of bees, preventing extermination through being rehomed. Bees typically swarm in spring, when the original queen leaves the hive after laying new eggs, taking around 60% of the colony with her. 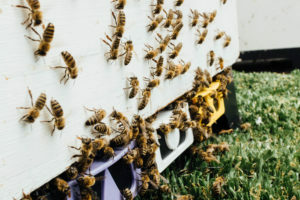 Swarming is a dangerous time for bees, who are flying on just the honey in their stomachs, and are particularly vulnerable to any sudden bad weather. Auckland CBD doesn’t sound like the ideal place for bee-keeping, however it can be better than a rural area because of the varied floral life. Urban areas are great places for bees, with an abundance of food for bees planted by residents and the council. The blossom trees and plants on streets and surrounding parks in Auckland are a haven. The bees produce honey mainly through the spring and summer seasons when the majority of plants are flowering and the temperatures are warmer. Bees Up Top provide monthly hive maintenance, and once the bees have produced enough honey, they extract, jar and return the 100% raw honey for our guests to enjoy at breakfast in Aria Restaurant.